Makes a wonderful 50th birthday gift! See also our other 50th birthday ideas. Make your own custom basket by finding a retro old tin container and painting it in bright colors. Fill it with vintage candies from the 1960's, old photos from the sixties, and perhaps an old model car like the old VW beetle, for a complete retro look. Decorate it with groovy stickers for a fun look. 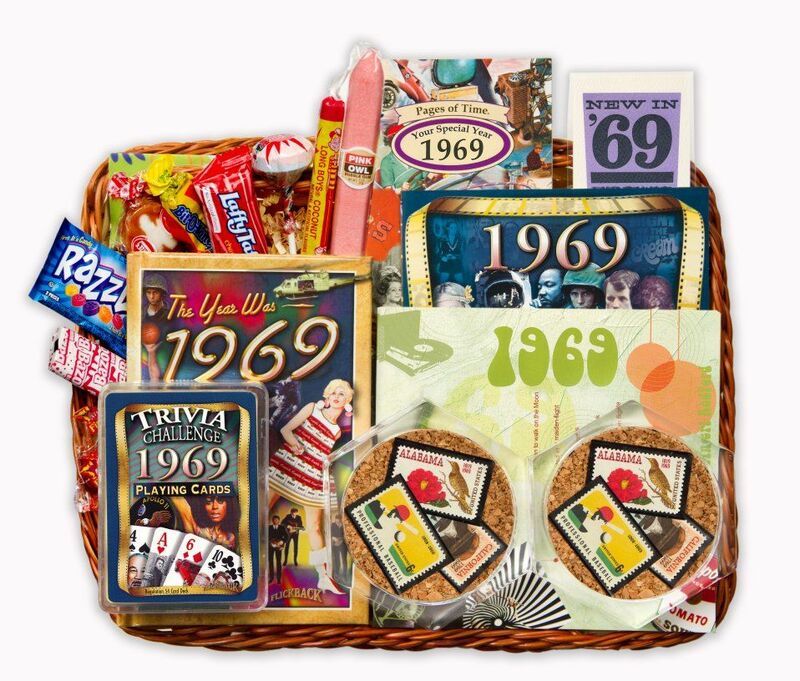 Buy a 50th birthday gift basket for women or men. We offer both, and it will make your choice easier. The baskets are filled with funny birthday gifts geared toward him or her and make a popular choice. 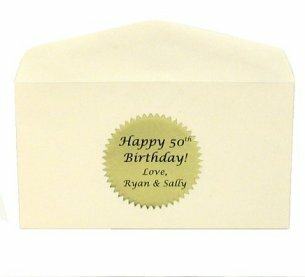 Consider our 50th birthday gift basket with stamps or coins, especially if the person you are purchasing for enjoys collections of any sort. Anyone that enjoys trivia from a particular year will find those gifts to be invaluable.